By Robert Parry: If you relied on one signpost for where not to go, it might be the columns of New York Times star Thomas L. Friedman: If he’s pointing in one direction, like some humorless Cheshire Cat, it’s usually a safe bet that you should go the other way. But Friedman has been grievously wrong many other times at great cost to America and the world – and his newest election scheme of pushing a “centrist” alternative for President could be just his latest catastrophic idea. It’s also not the first time he helped mess up the selection of a new President. Indeed, it’s hard sometimes to comprehend the conscienceless egotism of Friedman who can be so wrong so often – leaving hundreds of thousands dead and wasting trillions of dollars – but who still pontificates about what Americans should do next. You see the key thing for Friedman – and other “centrist” journalists – is to avoid ever being pigeonholed as “liberal.” For Friedman, his status as an “independent” thinker is also crucial to his lucrative career as a best-selling author. To maintain this valuable financial perch in the middle, Friedman and other “centrists” routinely make “smart plays” for themselves even if they end up aiding and abetting many right-wing positions. 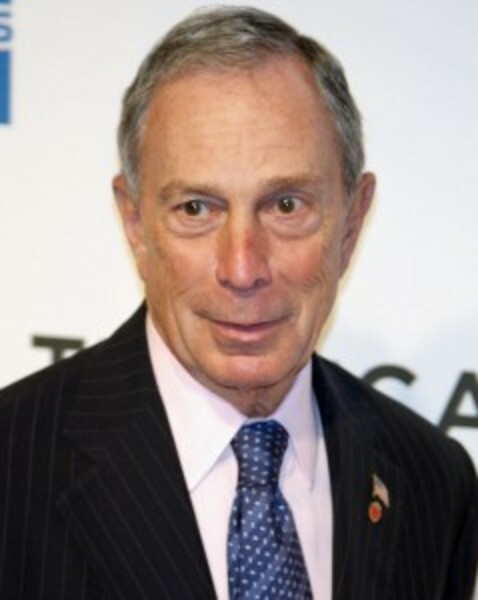 Thus, Friedman wants to see Mike Bloomberg starring in the presidential debates and raising the “hard choices.” Except that this scheme more likely would mean splitting the “responsible” vote, undercutting President Barack Obama and clearing the way for a victory by Republican Mitt Romney – and the right-wing forces most opposed to what Friedman purports to want. Friedman starts off his Wednesday column complaining about the collapsing American infrastructure – the “roller-coaster” asphalt around Washington’s Union Station and the shortcomings of Amtrak’s rail service to New York, even as he rode the more expensive, faster Acela train. Friedman did acknowledge that “President Obama has significant achievements to his record. He has done a solid job stemming the economic crisis he inherited and a good job managing national security and initiating important reforms – from health care to auto mileage standards. Today, it might seem obvious that anyone foolish enough to call himself “a Tony Blair Democrat” – after Blair has gone down in history as “Bush’s poodle” or to twist John Lennon’s advice to “give peace a chance” into its opposite – should have the decency to just hang it up as a pundit. Instead, Friedman moves from one reckless point of view to the next. If Friedman had any journalistic integrity, he would have declared that today’s extremist Republican Party has become the chief threat to the nation’s wellbeing – and indeed the planet’s survival. He would say that only the decisive defeat of this Ayn Rand radicalism offers a pathway to the future. However, to do that would put his cherished (and profitable) status as a “centrist” in danger. So, he undertakes his “evenhanded” denunciation of both sides. Friedman wrote: “This election has to be about those hard choices, smart investments and shared sacrifices — how we set our economy on a clear-cut path of near-term, job-growing improvements in infrastructure and education and on a long-term pathway to serious fiscal, tax and entitlement reform. The next president has to have a mandate to do all of this. So, Friedman’s electoral scheme – also being promoted by other “radical centrists” like Matt Miller in the Washington Post – proposes that Bloomberg jump into the race to push these supposedly courageous ideas. But Friedman can’t be honest because it would endanger his “centrist” positioning. He also doesn’t think through what the likely outcome would be – if Bloomberg entered the race and siphoned off enough “responsible” votes to elect Romney. Instead, Friedman wrote: “Bloomberg doesn’t have to win to succeed — or even stay in the race to the very end. Simply by running, participating in the debates and doing respectably in the polls — 15 to 20 percent — he could change the dynamic of the election and, most importantly, the course of the next administration, no matter who heads it. This dreamy analysis might be understandable for, say, some freshman in a political science class, but it is dangerously sophomoric for one of the nation’s most prominent columnists. The more likely result would be that Bloomberg – whether he quits the race after the debates or not – would draw substantial votes away from the candidate closest to his positions, i.e. President Obama. Surely, under a Romney administration – especially with continued Republican dominance of Congress – there would be even less money to even out those bumpy roads around Washington’s Union Station or upgrade cellphone reception on Amtrak – or for that matter, build new high-speed rail, invest in the nation’s crumbling infrastructure or confront existential issues like global warming, which Republican extremists don’t even think is real. Friedman’s pitch for his “radical centrist” option is just another of his harebrained, self-serving – and dangerous – opinion pieces. We already have seen the dark places where some of his earlier ideas have taken the nation.